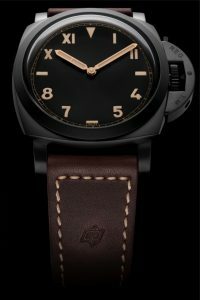 Panerai PAM629 Luminor Titanio DLC "Cali Dial"
The Watches and Wonders show in Hong Kong this year has been an interesting one for Officine Panerai. They have released a number of new models that are being met with all kinds of fan fare. 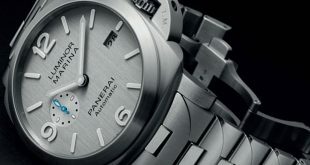 One of the first to catch my eye is the Panerai PAM629 Luminor 1950’s Titanio DLC with the California Dial. If you know me or have talked tome in the past you will have heard me rave about the Cali dial. 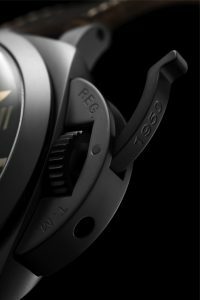 I have been in love with it from the beginning and it continues to be part of some of the most iconic watches in the Panerai family. 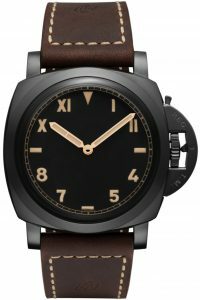 Of course the California dial has it’s roots planted in the history books with Panerai, they also released some models that have been instant classics such as the PAM249, PAM448, and PAM424. One thing that all of these pieces had in common were that they were all found in Radiomir cases. 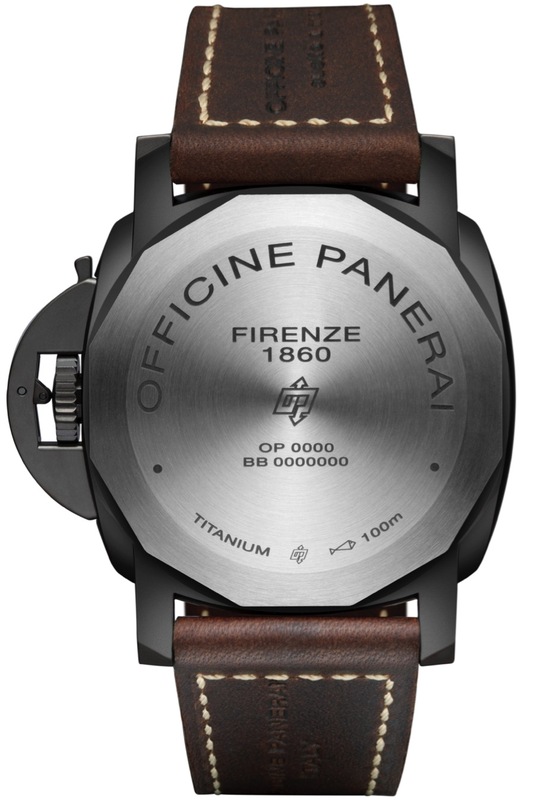 The PAM629 is the first time that Officine Panerai has included this lovely dial in a Luminor model. The PAM629 features a 47mm Luminor 1950’s case that is made out of Titanium and then DLC (Diamond-Like Carbon) coated black. The crown features something new on this piece, which is the year “1950” etched into the actual lever of the crown guard. This piece features a black dial and gold hands to match the vintage lume of the California dial. All of the glorious beauty of the Cali dial is covered by a domed sapphire crystal gives this piece an extra drool factor. The engine in the PAM629 is the P.3000 hand wound movement with a 3 day power reserve. This particular model does not have a clear case back showing off the movement, instead they have used a solid titanium backing. The PAM629 is a special edition that is limited to only 300 pieces and will carry a price tag of around $11,700 USD. 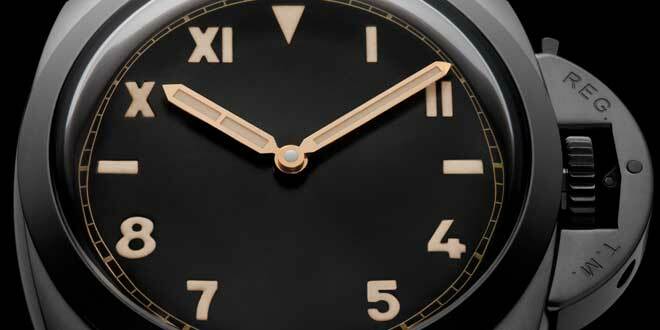 Initially I had mixed feelings about this piece because ever since day one in 1936 when Panerai featured the Cali dial, it has always been on a Radiomir model. 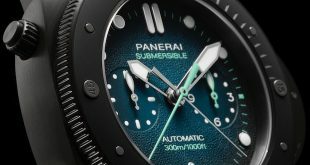 I kept looking at the pictures of the PAM629 and feeling a bit torn. Over the past few days though it has have grown on me more and will hold off final say until I have a chance to see this model up close and personal for an on wrist review. Although I love the DLC Titanium combination, I would love to have seen what this model would have looked like in ceramic. At the end of the day the beauty of this piece is a bit of a double edged sword. One one end you have purists that say it deviates from a lot of the history and meshes a bunch of styles in one timepiece. On the other side you have the new generation that absolutely love the sleek look and combination that Officine Panerai has put together. 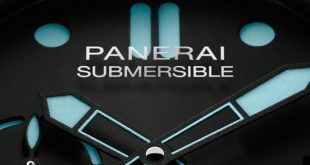 Through it all there is no way to please 100% of the Panerai fans in the world, mainly because the brands exudes such a passion from it’s customer base. To be able to innovate and bring something new to market is not always the easiest when you have such a rich history and older fans are used to a status quo. Change is always met with resistance, but once you start embracing it like I have started to with the PAM629, the Panerai world is a much happier place. 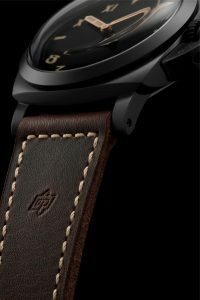 MOVEMENT: Hand-wound mechanical, P.3000 calibre, executed entirely by Panerai. FUNCTIONS: Hours, minutes, small seconds. CASE: 47 mm, titanium with black DLC coating. 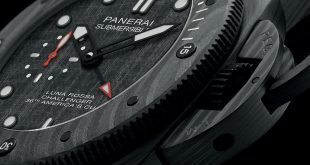 DIAL: Black with luminous Arabic and Roman numerals and hour markers. POWER RESERVE: 72H. WATER-RESISTANCE: 10 bar (~100 metres).